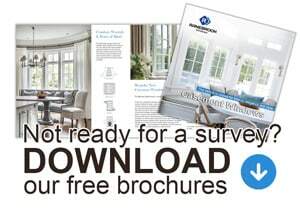 For your extension needs, single window fittings or replacements and other small projects – check out our online window shop. Here you can find ready-made timber windows. They are available for purchase now, so all you have to do is contact us and allow a few days for delivery. No long lead times and a fast checkout process for your convenience. We are offering you our Spiral Balance Sash windows in various sizes, they are all brand new, ready-made, in stock and ready to be delivered/collected. Spiral Balance windows are a modern version of the traditional weight and pulley range. A Sash balance (spring balance) is a spring-loaded device used to counter-balance a Sash in a box sash window. A spring-loaded device allows a slimline design and consequently a larger glass area. As standard, our timber sash windows have Polished chrome furniture, but you can request to change them to another colour finish for the cost of £10+VAT. If you require any extras like Trickle Vents, Restrictors, etc. just contact us and we’ll do our best to help you. We are offering you our Mock Sash windows in various sizes, they are all brand new, ready-made, in stock and ready to be delivered/collected. Mock Sash Windows are a popular choice for those who want to keep the authentic look but avoid the higher cost of a traditional sliding Sash Window. We are offering you our Traditional Box Sash windows in various sizes, they are all brand new, ready-made, in stock and ready to be delivered/collected. Box Sash window is the most classic sash window with a weights system. It is our primary and most recommended product for those who desire simple construction yet a great design. As standard, our timber sash windows have Polished chrome furniture, but you can request to change them to another colour finish for the cost of £15+VAT. If you require any extras like Trickle Vents, Restrictors, etc. just contact us and we’ll do our best to help you. 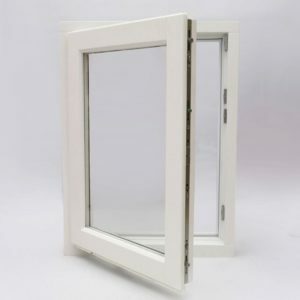 We are offering you our Flush Casement windows in various sizes, they are all brand new, ready-made, in stock and ready to be delivered/collected. Flush Casement windows are simple, popular, outward opening casement windows that are based on traditional techniques. Our Flush Casement Windows add a contemporary feel and modern energy efficiency to a traditional building. As standard, our timber Casement windows have Polished chrome handle, but you can request to change them to another colour finish for the cost of £10+VAT. If you require any extras like Trickle Vents, Restrictors, etc. just contact us and we’ll do our best to help you. 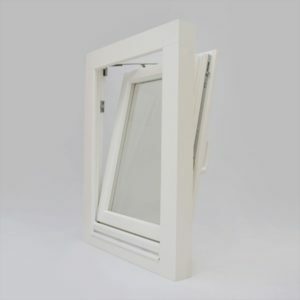 GRAB YOURSELF A TIMBER MOCK SASH WINDOW WITH 10% DISCOUNT. The full price of this window is £261.35 ex. VAT and you can get it for only £235.22 ex. VAT. Mock Sash Windows are a popular choice for those who want to keep the authentic look but avoid the higher cost of a traditional sliding Sash Window. As standard, our timber Flush Casement windows have Polished chrome handle, but you can request to change it to another colour finish for the cost of £10+VAT. If you require any extras like Trickle Vents, Restrictors, etc. just contact us and we’ll do our best to help you. Our fully reversible timber windows have been designed to open outwards, this increases insulation and prevents droughts when strong winds push masses of air against the window. GRAB YOURSELF A FANTASTIC ARCHED TIMBER SASH WINDOW WITH 75% DISCOUNT. Spiral Balance windows are a modern version of the traditional weight and pulley range. A Sash balance (spring balance) is a spring-loaded device used to counter-balance a Sash in a box sash window. A spring-loaded device allows a slimline design and consequently a larger glass area. Collection from DA8 preferred delivery can be arranged. The cost will apply depending on location. We are offering you our Tilt & Turn Casement windows, they are all brand new, ready-made, in stock and ready to be delivered/collected. Tilt & Turn Casement Windows can open into the room from the side to provide access for easy cleaning from the inside of the property. As standard, our timber Casement windows have Polished chrome furniture, but you can request to change them to another colour finish for the cost of £10+VAT. If you require any extras like Trickle Vents, Restrictors, etc. just contact us and we’ll do our best to help you. In our online timber window shop, you can find ready-made timber windows. You can purchase them now, just contact us and allow a few days for delivery. No long lead times and a fast checkout process for your convenience.